These power dividers/combiners are ideal for testing radio transceivers in mesh networks. 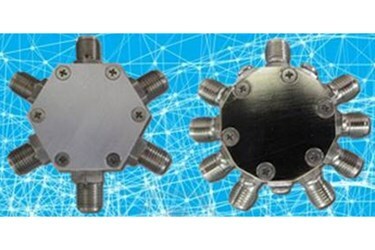 They allow signal connectivity over a wide bandwidth with minimal isolation. Each power divider/combiner covers the DC to 6 GHz frequency range, has 50 Ohms nominal impedance, an RF input power of 1 watt average @25oC, and an operating temperature range of -40oC to +85oC. For additional information as well as outline drawings, download the available datasheets.